Toshiba claims it has not entered into talks with any company to sell its personal computer business, denying media reports that it was potentially in negotiations to sell the unit to Taiwan's Asus. It was reported that China's Lenovo Group had also expressed interest in the PC unit, according to the Nikkei business daily. Cash-strapped Toshiba has previously said it is looking to sell the PC business, a small part of the industrial conglomerate, as it races to bolster its balance sheet by the end of March to avoid a possible delisting. Representatives for Asus and Lenovo could not immediately be reached for comment. The PC business accounted for just 3.5 per cent of Toshiba's net revenue in April-September of 84.1 billion yen (US$747 million). Hit by liabilities arising from its now bankrupt US nuclear unit, Toshiba has been plunged into financial crisis and agreed in September to sell its prized chip unit, Toshiba Memory, to a group led by Bain Capital for US$18 billion. But a highly competitive and contentious auction process led to delays in deciding on the buyer and has meant that Toshiba may not obtain the necessary anti-trust clearance by the end of the financial year in March. Without funds from the sale, it is likely to end the year in negative net worth for a second year in a row, putting pressure on the Tokyo Stock Exchange to delist it. To avoid that possibility, Toshiba is looking at raising about 600 billion yen (US$5.3 billion) by offering new shares in a third-party allotment -- and hopes to finalise the capital injection by the end of the year to allow for shareholder approval, a source briefed on the matter said this month. Read more Is Toshiba set to sell PC operations to Asus? 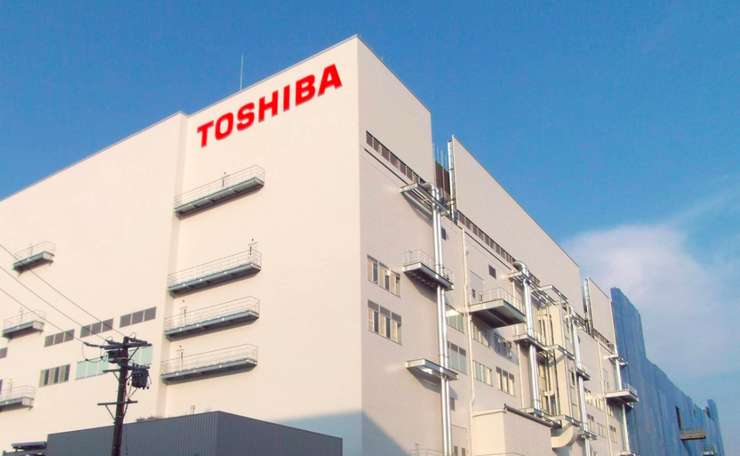 Separately, the Yomiuri newspaper reported that Toshiba was considering a capital increase for Toshiba Memory, with the investment coming from a member of the Bain-led group. Responding to the Yomiuri report, Toshiba said it was not considering accepting any separate investment in its memory chip unit by a member of the Bain Capital-led consortium. Toshiba repeated on Friday its stance that it was aiming to close the chip unit deal by the end of March. It said earlier this week that it would sell its television unit to China's Hisense Group for 12.9 billion yen (US$115 million). Read more Does Toshiba really need to sell off its chip business?